A truly traditional experience, so far as the golfer who is seeking a beautiful and tranquil environment to enjoy good golf, Dooks presents a convincing case. Hole number 13 best illustrates the charm and magic of Dooks. It is a throw back hole to the time when golf began. Greens lay where they fell and were better for it. 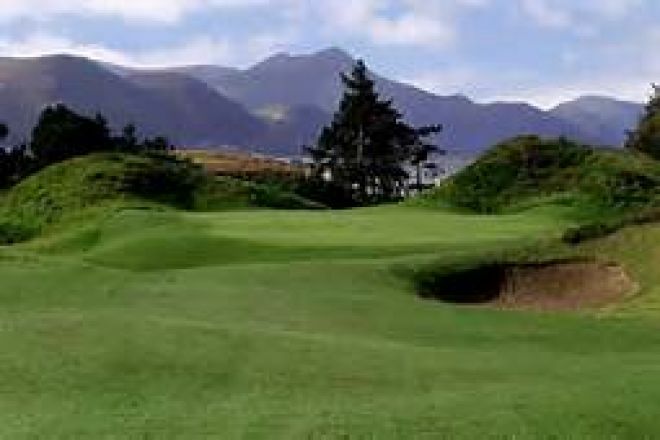 The golf course is set out on one of three stretches of sand dunes at the head of Dingle Bay. In the immediate foreground are the sand dune peninsulas of Rossbeigh and Inch and just a few miles away the whitewashed houses of Cromane fishing village provide an eye-catching distraction. South Eastwards are the famed MacGillycuddy Reeks, to the South West are the lovely cooms and hills of Glenbeigh and across the bay to the north are the Slieve Mish and Dingle mountains. Dooks are presently undertaking a major upgrading of their links in order to keep pace with modern improvements in golf equipment. 2 Nights Bed & Breakfast and a Round of Golf at the fantastic Dooks Golf Links. 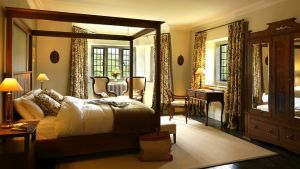 This package includes 2 night stay for two people sharing, breakfast each morning of your stay and a round of Golf at Dooks Golf Links just 5 minutes from The Glenbeigh Hotel. For the golfer who is seeking a beautiful and tranquil environment to enjoy great Golf, Dooks presents a convincing case. Dooks is not as exposed as some Irish courses and features an amazing variety of gorse, heather and wild flowers, the “gentle” wind is never far away and the narrow genuine sandy fairways and well contoured greens offer you a real taste of traditional links golf at its very best. Men's Course Record Am: 70 D. J. Guiney (0) Ballybunion G. C.
Dooks Golf Club won the Munster Final of the Irish Mixed Foursomes on their home course on Saturday 8th August 2015 when they beat Skibbereen Golf Club by 3½-matches to 1½-matches and accounted for Castletroy Golf Club by a similar margin in the Munster decider. First on the tee were Enda Curtayne with Tracy Eakin who beat Tony Delaney with Eimear Costelloe 2-holes, they were followed by Paul Griffin with Mary Inglis who lost out to Fergal Costelloe with Grainne Forde by 3 and 2, next up were Denis McGillicuddy with Jenny Piggott who recorded a halve against Keith Bermingham with Mary Quinlan, in the penultimate match Pat Griffin with Joan Harmon beat Brendan Reidy with Mary Bermingham by 2 and 1, in the bottom match Karl Falvey with Eileen Breen had a very comfortable 5 and 4 win over Gerard Maher with Rachel Maher. They didn’t have far to go to compete in the All-Ireland Final as it was played at Dooks on the 3rd & 4th September. The Ladies of Dooks Golf Club won the Noreen Moore Trophy League Kerry Class in 2012, when the team was Jane Hickie, Deirdre Galvin, Mary McGillycuddy, Anne Griffin, Betty Griffin Adrienne O’Sullivan and Louise Farrell, they were managed by Helen Ahern assisted by Mary Curran. The Ladies of Dooks Golf Club won the Munster Final of the AA-Insurance Senior Foursomes in 2007, they made their way to Athlone Golf Club to compete in the National deciders, where the met Connaught Champions Galway Golf Club in the All-Ireland quarter-final which they lost by 2 matches to 1 match. First on the tee was Mary Keane with Joan Harmon who lost their match by 2 and 1 against Sheelagh Kearney with Jo Price, next up was Ogie O'Sullivan with Mary Hackett who had a 3 and 2 win over Ger Neville with Mary Tierney, the bottom match of Catherine O'Brien with Helen Aherne was a 6 and 4 win for the Galway pair of Bryde Glynn with Ann O'Donnellan. Dooks Golf Links is celebrating its 125 year as a golf links this year making it one of the olgest Golf Clubs in Ireland. Dooks Golf Club, situated in a panoramic setting in a corner of Dingle Bay which is on the Wild Atlantic Way was founded in 1889 and is one of the ten oldest Golf Clubs in Ireland. 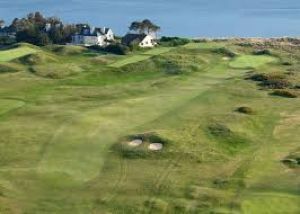 Golf was first played on this particular stretch of true sea-side links by soldiers from The Curragh (where golf came to Ireland in 1883), who were billeted in nearby Glenbeigh for artillery practice on the Rossbeigh dunes. 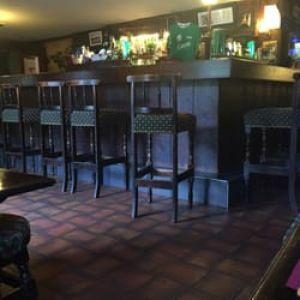 For many years Dooks was a 9-hole course whose original members were from the titled residents of Caragh Lake or active and retired members of the Army. Over the years business and professional people from Killorglin and mid-Kerry tried their hands at golf and became enraptured by the magic of Dooks and intrigued by the game of golf. The 9-hole golf course at Dooks was played on land that was part of the Besford McGregor Estate and from whom Dooks had a 75 year lease. When this lease was up in 1965 the owners were anxious to sell the land to a third party (believed to be interested in building a hotel in the area). The members ran a national Press Campaign – including a Press Conference in the Gresham Hotel, Dublin – and eventually the owners agreed to sell the land to Dooks Members for £7,000. This might sound like a small sum but at the time the club had only about 20 active members and the annual income was £1,000. Bord Failte gave a very generous grant of £3,500 and the members raised the rest by a Development Bond Scheme, costing £5 per bond. Current members are eternally grateful to the members and subscribers who organised this magnificent effort and saved Dooks for the future enjoyment of generations to come. 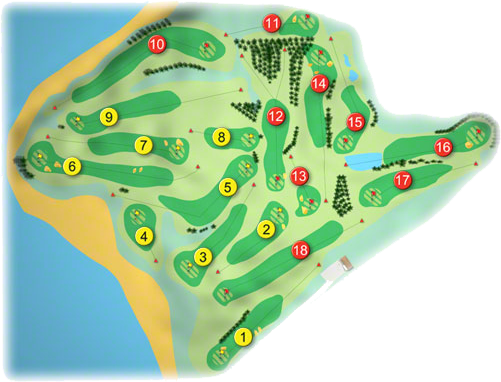 Having obtained ownership of the land, the members set about extending the 9-holes. They designed and physically built the “new 9″ themselves for a total expenditure of £3,500. A magificent achievement which would not have been possible without the commitment and generosity of the members at that time. The 18-Holes were opened in 1970 by the President of the GUI, Mr Gerry Owens and over the next 30 years the reputation of Dooks as an honest test of traditional links golf spread worldwide. The clubhouse, which was just a tin shack in the 1960′s went through 5 different “makeovers” before the present magnificent building was opened in 2005. In 2002, the committee felt that the layout of Dooks’ course needed to be upgraded and renowned architect Martin Hawtree was asked to “have a look” and come up with suggestions. 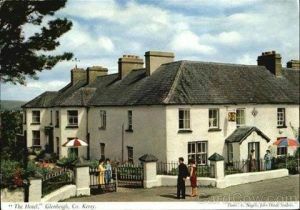 This resulted in a complete overhaul and the revamped Dooks was opened in 2006. The new Hawtree design has put Dooks in the forefront of Links Golf and its reputation for excellent golf in a magical setting with a renowned friendly atmosphere is the envy of golf clubs worldwide and remains to this day one of Ireland’s leading golf links.